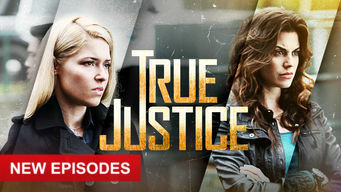 How to watch True Justice: Season 2 (2012) on Netflix Denmark! The availability of True Justice: Season 2 on Danish Netflix can be found in our listings below for each season. If the season/episode you want isn't available, you may be able to unlock it right now in Denmark and start watching! Change your Netflix country with a few simple steps and start watching. We'll keep checking Netflix Denmark for True Justice: Season 2, and this page will be updated with any changes. Elijah Kane leads a special undercover unit that investigates major cases in the Pacific Northwest, serving up its own unique brand of street justice. When justice isn't served, Steven Seagal gets very, very angry. Brutality? It's his middle name. Collection of True Justice has 12 episodes. Because different Netflix countries have different availability for episodes, you'll need to check the episode listing below to see which are available in Denmark. Elijah Kane, an adept martial artist who leads a Seattle-based undercover police team known as the SIU, receives orders to investigate a shooting. Bodies of young strippers wearing fox masks are found in Camp Harmony. The female members of the SIU go undercover to investigate. A young woman has a deadly overdose at a club. Meanwhile, the SIU is targeted and Kane suspects the police have someone on the inside who has gone bad. When a councilman running for re-election is killed in a car explosion, Kane suspects his white supremacist opponent and sends a man undercover. The Chinese mafia joins forces with the yakuza to attack a rival organization. Kane gets the heads up and leads the SIU into the crossfire. When SIU is brought in on a case involving a series of assaults and murders, Kane is attacked by what appear to be professionals killers. With SIU completely devastated, Kane begins to unravel the truth behind the attack and assembles a new, elite team. The fight for vengeance begins. Kane and his team of experts head to Vancouver to take out the Chinese mafia and set up surveillance outside their base of operations. After a Mexican drug cartel’s cash shipment is hijacked, Kane sees that a former CIA associate may be involved in the heist. Kane gets intel that an Egyptian terrorist has obtained a small nuclear weapon, and makes a move on the brothel that’s serving as a hideout. Kane works to prevent the handover of a nuclear device, but there’s a leak inside the CIA. Kane and his team begin their investigation. Kane has an opportunity to take revenge for the lives of his colleagues, but the FBI has taken notice of his handiwork and intervenes. Season 2 of True Justice has 1 episodes. Because different Netflix countries have different availability for episodes, you'll need to check the episode listing below to see which are available in Denmark. When their headquarters suddenly comes under attack by a mysterious group of killers, the SIU members are taken out one after another.